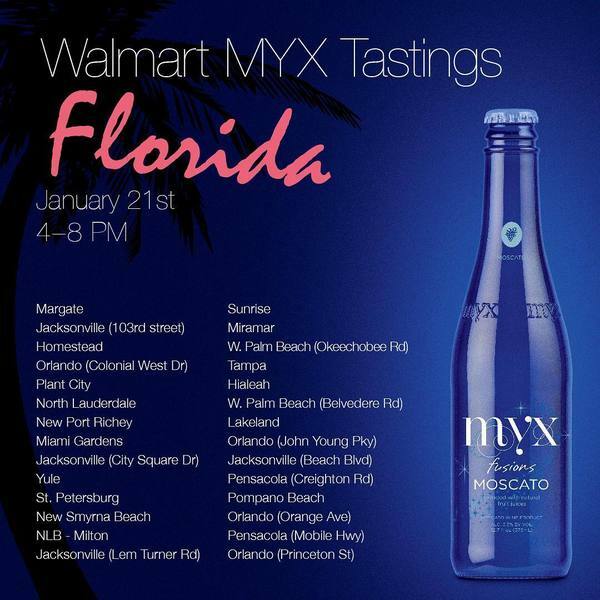 MYX Fusions tastings tonight at Walmart locations throughout Florida! FLORIDA! You still have time to #GetInTheMYX by heading over to one of the MYX Fusions tastings at several Walmart locations throughout Florida TODAY until 8pm.